Built from the Viper tree stand seat design, the Summit Surround Seat offers maximum comfort in a treestand chair. Padded sides give you the back support you need so you'll be less likely to fidget. 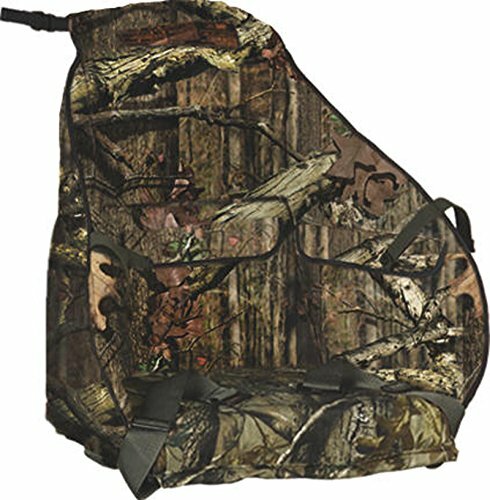 The Surround Seat features three built-in pockets so you can keep hunting gear close by. Quick release buckles allow you take the treestand chair on and off with ease. The Summit Surround Seat is truly a worthwhile investment. You'll stay comfortable for hours in the Surround Seat and not have to worry about being stiff the next day. This innovative treestand chair works with virtually any climbing treestand, and can be used to enhance most ladder stands. All of our tree stand accessories are engineered with the same construction and design that make Summit hunting products a favorite of hunters.